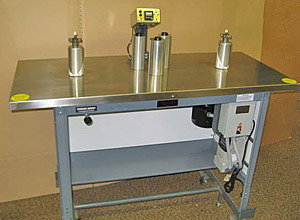 Counter/Controller Model 200 is a medium capacity, cost conscience rewind table that will accept all of the available Teco options. 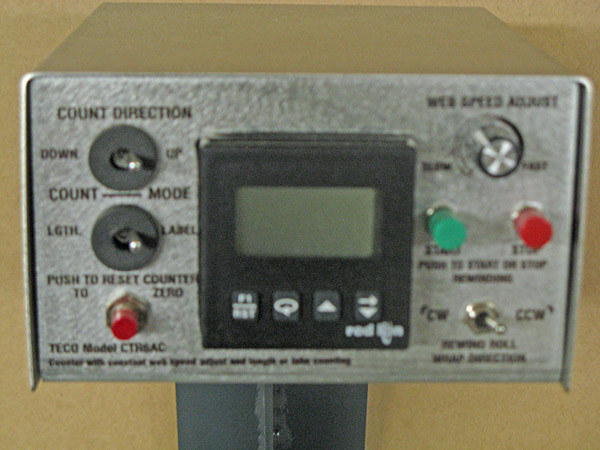 The model comes complete with 6 digit 2 stage predetermining counter featuring auto slow down for a very accurate count. It is supplied with a stainless steel top, 1 HP AC motor and speed control and winds in either a CW or CCW direction. Two 3" wedge lock core holders are included along with a complete operations manual. The 200 will rewind rolls 24" unwind, 20" rewind, up to 7" web widths, weighing up to 45 lbs. max.